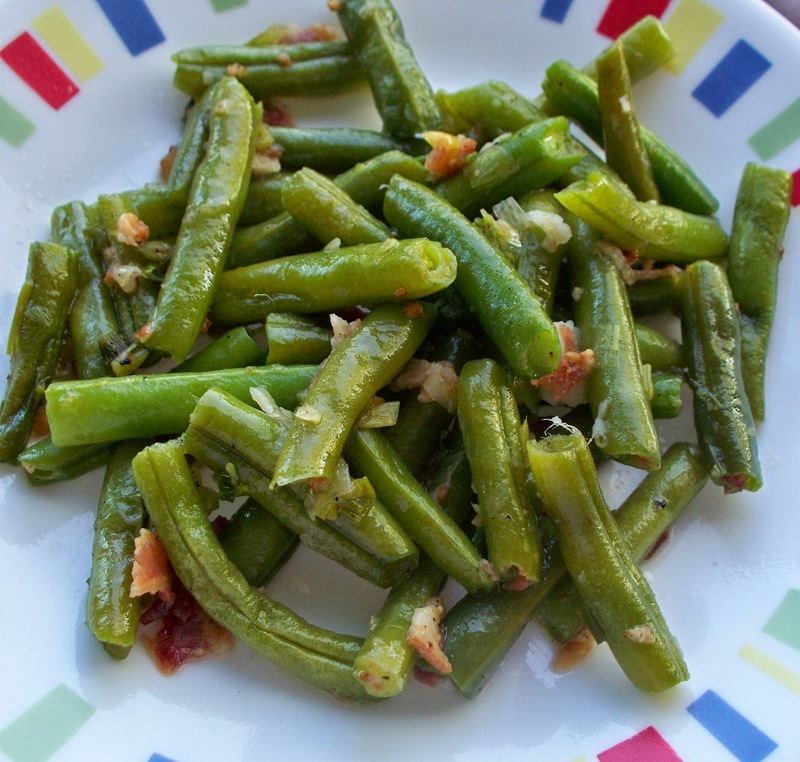 As side dishes go, these green beans were fantastic. But then again, cooking just about any vegetable in bacon drippings and then adding crumbled bacon to them is a recipe for success in my book. I mention that there is bacon mixed in there as well? Add the beans and cook about 6 minutes, until they are crisp but still tender as well. Drain the beans and run them under cold water, then set them aside for the moment. Melt to butter with the bacon drippings in a skillet over medium heat. Add the scallions and cook for about 4 minutes. Add the beans to the garlic/scallion mixture and cook for 6 minutes. Mix in the bacon, cumin, salt and pepper and serve. Use this recipe with caution, as many people who don't normally enjoy their veggies will be drooling over their plates and asking for more. You have been warned. My hubby is generally the one to post recipes, but from time to time, you'll see one from me :) Right now, he's doing a cookbook challenge and cooking all the recipes in the cookbook, In the Kitchen with David. We try to get one recipe up each week. I'm happy you're excited to get some new ones! It's always nice to try a new idea in the kitchen.